Osteopathy sessions for ankle injuries amongst other include: sprains, tendonitis, capsulitis, bursitis and heel spurs. Pain experienced by the patient when moving the foot against resistance. Foot in extension to activate the tibia tendons and ligaments, extension and abduction or adduction to test the peroneal, the foot in flex to test the base of the foot and the Achilles tendon, pressure to the metacarpal to test the tendons supporting the metacarpal. Compress and separated from the joint to test for bursitis and capsulitis respectively. A tendinitis, capsulitis, sprain and bursitis are treated in the same way as other joints. Engaging massage techniques, cyriax with ice, mobilization, stretching and then manipulations with or without impulse. Unblocking the metacarpals by stabilizing fingers between the metacarpals and pulling the outer sides of the foot up. Stabilizing the joint by placing reinforced thumbs under the ankle bone and either push or pull with impulse the foot in the opposite direction. In the case of damaged ligaments it is important to massage the surrounding areas and avoid stretching. Strengthening exercises are vital to recovery. Some exercises include; curling ones toes to strengthen the ball and arc of the foot. Puling the foot towards the head against a band or bar. In the case of calcification to the heel of the foot the symptoms are obvious as the patient will complain about the sensation of having a “stone in his or hers shoe”. The osteopathy treatment is the same as tendinitis but paying attention to the patient’s age and the degree of calcification. 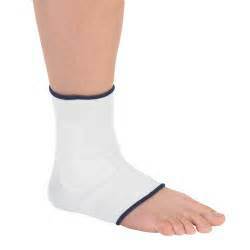 A shoe support is recommended in these cases as a well as stretching and strengthening exercises. Fasciitis plantar is an inflammation of the base of the foot caused by flat feet, obesity, repetitive movements. Pain is experienced when walking at any point of the base of the foot. The treatment is the same as when there is calcification. For more information regarding our osteopathy sessions for ankle injuries click here. Simplybe pilates, osteopathy and massage for you overall wellness.